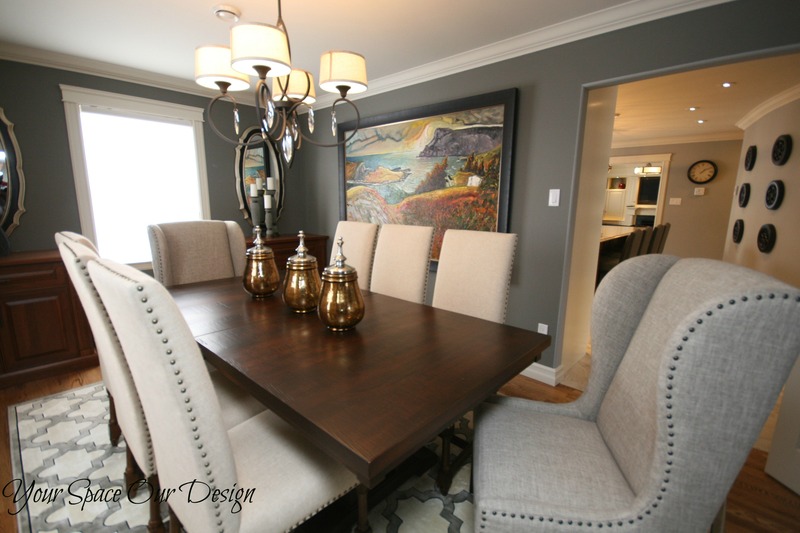 This lovely dining room design was part of a full main level renovation. 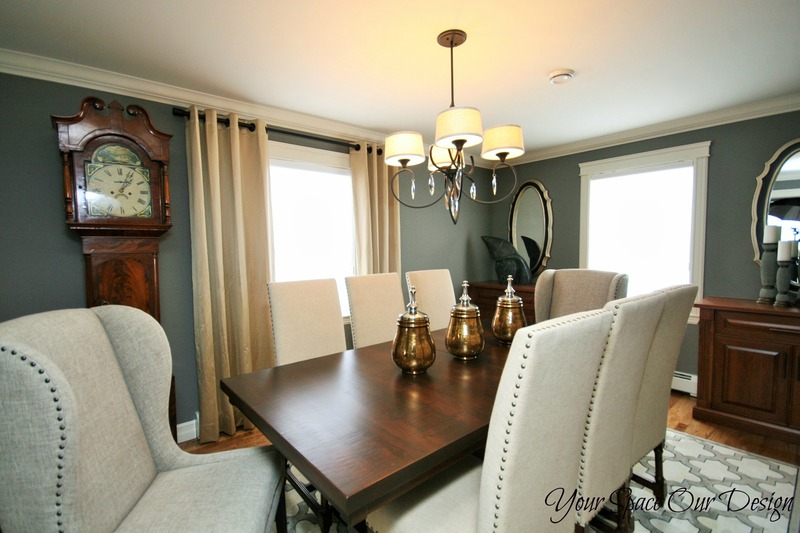 The deep colored walls are paired with light fabric furnishings and a rich wood table. 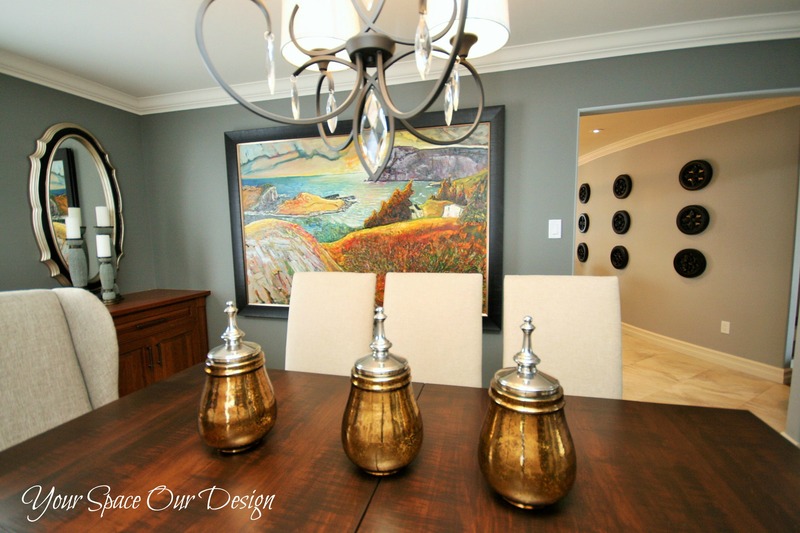 A lovely chandelier adds a hint of sparkle and a pop of color is found in the artwork!